After having their playoff hopes shattered by the Seattle Seahawks last Sunday, the Dallas Cowboys now have just one game remaining in 2017. This week, they travel to Philadelphia to play their hated rival in a game which could not mean any less to the playoff picture. The Philadelphia Eagles have everything wrapped up -- the division, the number one seed, and home field advantage throughout the playoffs. The Eagles have next-to-no reason to take this game seriously, and will most likely rest key players. Especially after what happened to quarterback Carson Wentz just a few weeks ago. On the other hand the Cowboys are done, regardless of this week's result. And because of the meaningless nature of the game, some fans are wondering if the Cowboys' key players should also take the afternoon off. Left tackle Tyron Smith is expected to miss the game, considering he exited last week's game after just one possession. Right tackle La'el Collins is banged up, as well as linebacker Anthony Hitchens, but head coach Jason Garrett has insisted all week that everyone who is healthy will play against the Eagles. What exactly will "healthy" mean, though? At this point in the season, no one is healthy. After playing 15 NFL games every player is dealing with some type of issue, as wide receiver Dez Bryant spoke to earlier this week. Considering this game means nothing, and that "tanking" it could actually give the Cowboys some benefit this offseason, what good would playing everyone really accomplish? I believe that in a perfect world, Dak Prescott would play a healthy and productive first half and look like his old self. The Cowboys offense would look and feel good about their performance, and Cooper Rush could lead backups during the second half to give the coaches a chance to evaluate everyone. But as we know, things rarely work out perfectly in the NFL. The Cowboys and Eagles traded places from 2016 to 2017 finales. Last year, the Cowboys had nothing to play for in week 17. This year, the Eagles are the locked-in playoff contenders. In the 2016 season finale, Dallas sat their key players and the Eagles went just about full tilt. The Eagles dominated a Mark Sanchez-led Cowboys team, and I guess it could be argued they built some momentum heading into the offseason. But what made the Eagles good this season wasn't a meaningless week 17 win in 2016, it was the smart personnel decisions their front office made to improve an offense which lacked weapons during Wentz' rookie year. It was the addition of pass rushers like Chris Long and Derek Barnett which continued to build upon an already impressive defense. If the Cowboys are to bounce back in 2018, defeating the Eagles this week will have little to do with it. 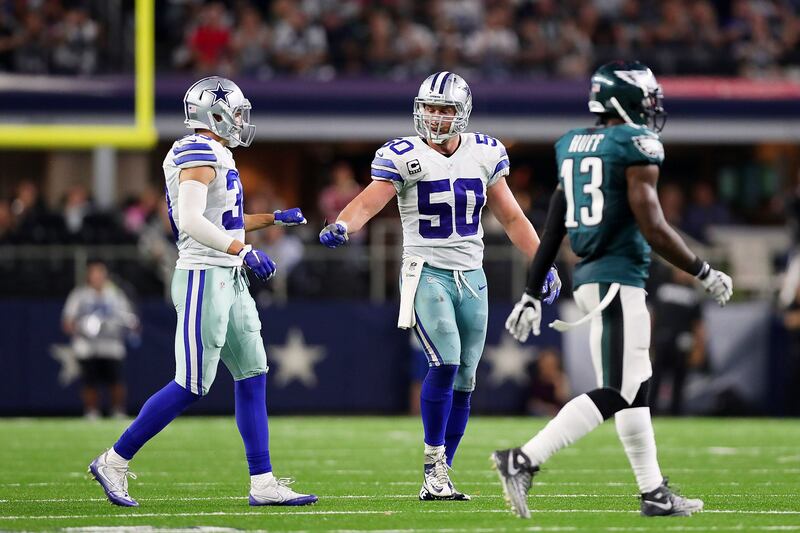 They need to improve in multiple facets this offseason, and giving younger, more inexperienced players some playing time to prove themselves this Sunday will do more to help accomplish that goal than will throwing Dak Prescott to the wolves without his left tackle. Are Dez Bryant’s Strengths, Dak Prescott’s Weaknesses?